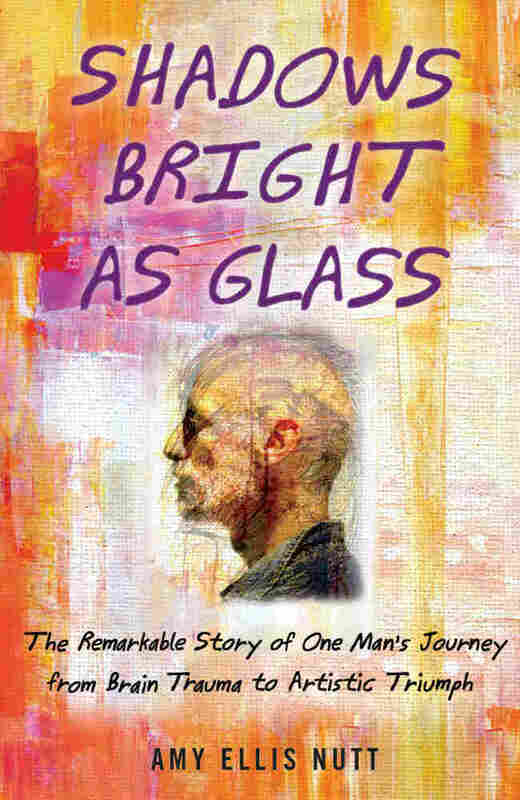 Shadows Bright As Glass: When Brain Injuries Transform Into Art Jon Sarkin was working as a chiropractor when he suffered a massive stroke. Afterwards, he became an obsessive visual artist whose work was as fragmented and cluttered as his mind had become. Sarkin is the subject of a new book, Shadows Bright as Glass, by science writer Amy Nutt. "Is it memory? Is it emotion? Is it cognition? Is it personality?" asks Nutt. "I think all of those things play a part in Jon's story." Sarkin's story began on a hot day in 1988, when he was out playing golf. He felt a throbbing, excruciating pain in his head and heard a ringing in his ears. After surgery, his brain began to swell and bleed. When Sarkin woke up, he was a completely different man. "His heart stopped twice after his stroke so he has areas all over the brain that were deprived of oxygen," says Nutt. "The primary damage was to his left hemisphere and, in particular, to the left side of the cerebellum." What research into the left side of the cerebellum has shown is that it carries our associations with sensory systems — that is, how we track movements in the world around us. "Part of the deficit that Jon has is that his relationship with the environment and the world is literally fresh every moment," explains Nutt. "It's unfamiliar. He experiences the world almost as if it's new, every day. Objects around him, people and movement are experienced in a fresh way, and that is extraordinary for an artist." Sarkin's art often features words and cross-hatches and images overlapping each other. His paintings, which have a cartoonish Robert Crumb-like quality, have been featured in The New Yorker and The New York Times and now hang in private galleries around the world. "In essence, it's the continuing journey of who he is," says Nutt. "It's something that Jon has to keep doing. He literally has to keep doing art. It's what defines him and it's who he is." And what makes Sarkin's case particularly unusual, says Nutt, is that he's able to reflect on who he was before his stroke. 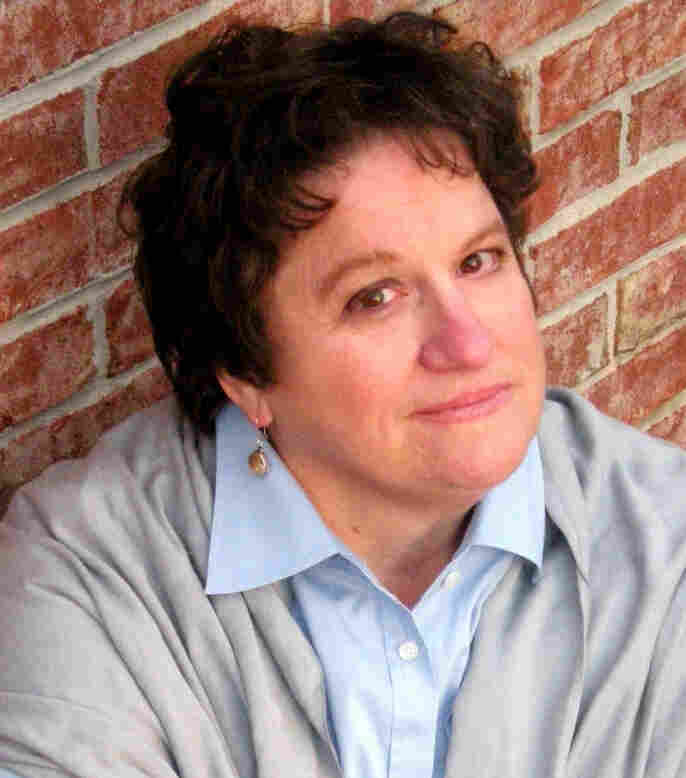 "Jon is that rarest of individuals who was acutely aware and is acutely aware of what he lost and how he changed," she says. "I was fascinated by this aspect of someone knowing they are essentially two selves — a former self and a present self — and how that works." The swirling waters along the North Shore of Boston are anchored by a geography of grief: Great Misery Island, Cripple Cove, the reef of Norman's Woe. Jon Sarkin is comfortable in this landscape, shaped as it is by loss. Centuries of women and children have waited on its rocky promontories for husbands and sons and fathers who never came home. Just west of Ten Pound Island, the Annisquam River empties into the Atlantic, watched over by the ghosts of Gloucester. In this colonial fishing village the sunlight still tastes of brine, and the oldest homes bear plaques inscribed with the names of Gloucestermen long dead: Colonel Joseph Foster, a veteran of the Revolution, who smuggled goods into Massachusetts during the British blockade of New England's harbors; Captain Harvey Coffin Mackay, whose sloop was struck by lightning and sank on its way to England in 1830; and the Luminist painter Fitz Hugh Lane, who immortalized that seafaring tragedy months later in his watercolor The Burning of the Packet Ship Boston. For ages, artists have been summoned here by the views of ships' masts tangling in the harbor and Creamsicle-colored sunsets melting on the rocks. Winslow Homer visited and painted his Boy on the Rocks. Rudyard Kipling vacationed and wrote Captains Courageous, and when Longfellow stopped for a look, he penned "The Wreck of the Hesperus." A hundred years after Longfellow, T. S. Eliot remembered his childhood summers in Gloucester and wrote about the dangerous rocks hidden beneath the harbor's waves in his Four Quartets. Art did not lure Jon Sarkin here, but it saved him. When he first arrived thirty years ago, he was a young, ambitious chiropractor intent on building a career. That was before his future slipped away from him, before a tiny blood vessel deep in his brain inexplicably shifted a hundredth of an inch, and as quickly as the flap of a butterfly's wing, set off a wave of events that altered him body and soul. A single cruel trick of nature, a catastrophic stroke, and a quiet, sensible man was transformed into an artist with a ferocious need to create. For nearly two decades, he toiled in his studio painting and drawing without forethought or expectation, without plan or picture in his head, producing a storm of art that slowly increased in complexity and quality. Yet always there was this question: Who was he? How had he gotten to this place? He was that rarest of individuals, a man dislocated from his own sense of self, a man who knew his brain had betrayed him and cast him out to sea. Recovered, it was as if he'd washed up on some alien shore, and he questioned who, and what, he was. How does a soul start over? Nearly two thousand years ago, Plutarch asked the same question and was left puzzled. He wrote about a great ship that hardworking Athenians replaced plank by plank as the ship decayed until there was nothing left of the original. What was it now? Was it the same ship? Plutarch wondered. Or was it something wholly new? Sarkin's body was broken, his brain dislocated. Parts of him were missing and others unrecognizably changed. He knew it, felt it deeply and yet could not explain how or why even to himself. To truly understand what had happened, he would have to be both subject and object, actor as well as audience. He was, in a way, his own philosophy experiment: How many pieces could be removed and replaced, without him becoming a different man? This was a question the Ancients pondered, but neuroscientists now try to resolve as they search for the sources of consciousness. Sarkin, though, was an unwitting participant. Dislodged from himself, he had no choice but to find a way back in. He understood exquisitely, painfully, in a way few individuals can, that when the rock of his identity cracked, it let loose his own unsuspecting soul. The patient blinked, wide-awake, as the surgeon peeled back the outer covering of the man's brain and began looking for the tumor. "Soon, you'll be back on the ward," said one of the nurses in the operating room at the Cardiff, Wales, Royal Infirmary. "Thank you, I feel fine," the man answered, his scalp numbed only by a local anesthetic. The year was 1938 and the forty-one-year-old neurosurgeon, Lambert Rogers, had no MRI, not even a microscope, to locate his patient's brain tumor, just his probing fingers. After cutting through the transparent "skin" of the dura mater, the tough outer covering of the brain, Rogers plunged his hand into the soft, wet folds of the man's gray matter and began exploring. Half an hour went by. Then an hour. The surgeon rummaged through the three-pound gelatinous mass like a blind man slogging through a swamp. "You sod, leave my soul alone. Leave . . . my . . . soul . . . alone." Excerpted from Shadows Bright as Glass by Amy E Nutt. Copyright 2011 by Amy E Nutt. Excerpted by permission of Free Press. All rights reserved.